Having launched three different iPhone models in 2017 (iPhone 8, iPhone 8 Plus, and iPhone X), Apple is reportedly planning to introduce at least four new handsets this year. 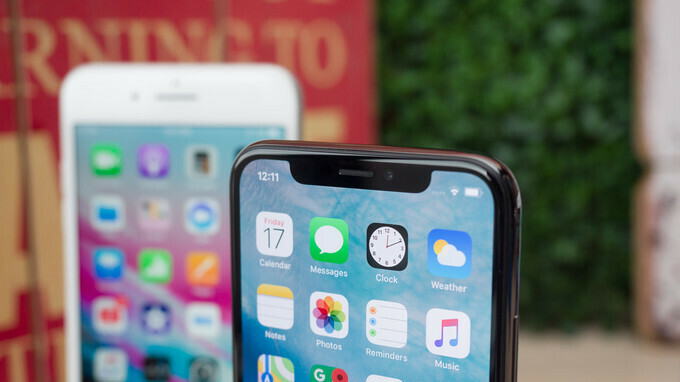 Rumors have it that, throughout 2018, Apple intends to release a new iPhone SE, a 5.8-inch successor to the iPhone X, a 6.5-inch iPhone Xs Plus, and a 6.1-inch iPhone. According to MacRumors and KGI Securities analyst Ming-Chi Kuo (famous for often being right when it comes to Apple's future plans), the 6.1-inch iPhone might account for half of the 2018 iPhone lineup's shipments. Reportedly, the 6.1-inch iPhone won't be as expensive as the new 5.8-inch and 6.5-inch devices, possibly costing around $700 - $800 (while the other two models could be sold for prices starting at around $1,000). Ming-Chi Kuo suggests that the 6.1-inch iPhone will be a mid-range handset featuring a single rear camera. Unlike the upcoming 5.8-inch and 6.5-inch iPhones - which, similar to the current iPhone X, are expected to sport OLED screens - the 6.1-inch model should pack an LCD display. Kuo further notes that the 6.1-inch iPhone won't have 3D Touch (the technology that allows users to perform various tasks by applying different levels of pressure to a touchscreen). 3D Touch has been included on all Apple handsets since September 2015 (when the iPhone 6s and 6s Plus were launched), with the exception of the affordable iPhone SE. It remains to be seen if the feature will be omitted from both the 6.1-inch iPhone, and the 2018 edition of the iPhone SE. Another difference between the 6.1-inch iPhone and the 5.8-inch and 6.5-inch models will be related to build materials. Allegedly, the mid-range phone will have an aluminum frame (like the iPhone 8 series), while the other two handsets should use stainless steel frames, just like the iPhone X. For now, it's unclear what final names Apple's 2018 iPhones will have. In any case, the company's new iPhone SE is expected to be unveiled before the first half of the year ends, while the larger models should be announced and released in September or October. Not surprise if another COURAGE remove, however i will be surprise if it selling well. I guess hell can freeze over. Apple and a number of its zealots would always tell everyone that Apple only sells high end smartphones. There goes that theory, right down the toilet. Also a lot of people on this site were here telling everyone here that Apple's 3D touch was like the second coming of mankind or something like it. So if Apple is going to sell mid range devices, then that crap about resale value will also go in the toilet. Apple has been loosing market share for a number of quarters, while Android has been gaining. In all the major growth markets around the world Apple continues to shrink, and Android continues to grow. A 6.5" iPhone, with the current gestures, would be impossible to use with one hand. No you're just holding it wrong. Just add in long press functionality instead so that shortcuts still exist. That's an Android thing. Apple likes to pretend that they don't use things that Android has been using for years. Then they will say crap, that Apple does it better. Just like this mid range iPhone crap. It will be interesting to see what Apple will call mid range, especially when a number of Android mid range devices have much better specs than Apple top tier iPhones. Apple would be wise not to segment it's iPhone franchise into too many subsets. There really is no "mid" range. Buyers want mid-range as the new value option while having high-end as an option/upgrade. Phones are like cars in the sense that few families want a car in each segment. Instead, then generally buy an all-purpose value vehicle and a "luxury" or as much-as -willing-to-pay option. Mid-products also suffer from what they lack compared to the high-end while often having price points that reflect more high and value end. Ringmaster, for years Android has seen what was normally high end components trickle down to mid and then lower end value smartphones. For instance I can spend around $200 on a brand new Android smartphone that has the same amount of ram as an iPhone 8 plus or iPhone X, get a 5.5" full HD (1920x1080) display, full day of battery life with web browsering, playing videos or music, use social media apps, even shoot 4k video with a 12 mp camera, and it even has expandable storage for that $200. If all you know is Apple, than clearly you haven't seen what has been happening to Apple's competition (Android). Why do you think Apple continues to loose market share globally? Let's see if you can figure that one out. All I want to know is, what are the iPhone users who claim the Note 8 is too tall, gonna say with Apple 6.5" iPhone which will be even taller? I mean they claim the Note 5/7 at 5.5 and 5.7 respectively, were to big, and yet the 5.5" iPhone Plus models are taller than BOTH of those phones. And based on sales, the plus model sold just as much as the smaller model. So its so funny how they complain about things that happen on Android, but say nothing when Apple does the exact or worse? Ditching the 8-line and going for a couple of new size iPhone X style phones? I can't see that happening really. Look at what has happened previously, 6/6 plus, 6s/6s plus, 7/7 plus, 8/8 plus, all the same sizes for 4 years. They still sell and a lot of people just like a newer version of what they had before. I can't see them dropping the tried and tested models for a bunch of (if rumours are to be believed) underperforming iPhone X clones. An SE replacement is due. Without a current cheaper option that can run the latest version of iOS there will be some grumpy people. How about making an iPhone Xs deluxe that doesnt have a stupid notch? You could get away with charging another $100 for that. For an extra $100, I would expect TouchID as well as USB-C. Plus more ram. Apple always likes to make it look like ram is expensive, but when I see mid range and low end Android smartphones that are $200 or less that come with 3 GB or 4 GB of RAM now. Then Apple could easily do the same. Apple should try to stop trying to appease the shareholders first. They should try and take care of their customers first, instead of being so greedy.